There was a tremendous expansion of education in England and Wales during the nineteenth century. A combination of voluntary effort and government action led to the introduction of a system of elementary education for the working class. This book describes the development of Victorian schools and looks at the evolving role and status of the teacher. The emphasis, however, is on the schoolroom itself. 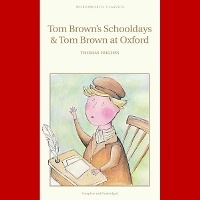 Using contemporary sources, this book looks at what went on in the schoolrooms of Victorian England and Wales, at the way lessons were planned and taught, and at the equipment and teaching resources that were employed. We recommend this booklet for the valuable background information that will be useful to every teacher preparing a Victorian Day.